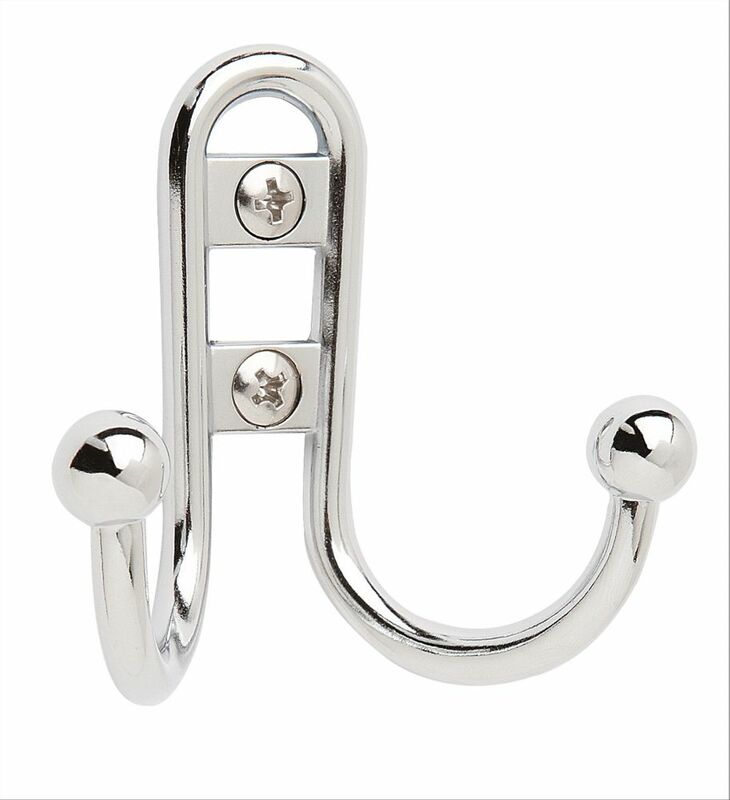 The Amerock H5545726 Double Prong Individual Hook is finished in Polished Chrome. Single hooks are most versatile and can be mounted into wood surfaces and drywall. Polished Chrome is a sleek, shiny metallic finish in a silver tone that glistens in sunlight and sparkles in candlelight. The Amerock HR55590MAS Decorative Hooks 8-5/8in(219mm) Key & Gadget Hook Rack is finished in Mahogany/Antique Silver. Antique Silver is a sleek and lush finish with deep, rich colours designed to compliment traditional, transitional and eclectic styled homes. The Amerock H55445AS Medium Coat and Hat Hook is finished in Antique Silver. Single hooks are most versatile and can be mounted into wood surfaces and drywall. Antique Silver is a sleek and lush finish with deep, rich colors designed to compliment traditional, transitional and eclectic styled homes. Double Prong Hook - Silver The Amerock H5545726 Double Prong Individual Hook is finished in Polished Chrome. Single hooks are most versatile and can be mounted into wood surfaces and drywall. Polished Chrome is a sleek, shiny metallic finish in a silver tone that glistens in sunlight and sparkles in candlelight. Double Prong Hook - Silver is rated 5.0 out of 5 by 2. Rated 5 out of 5 by Darrell from They more than served our purpose.... They more than served our purpose. Rated 5 out of 5 by JFraz from Easy to install. Looks great, exactly what I wanted. Easy to install. Looks great, exactly what I wanted.